MLB trade season is always a fun time. It’s better than fantasy baseball because the wild ideas you have for GMs around the league could come true in real life. Then you get to see how it pans out, and whether or not you would be fired if you were the one making the deal. So we don’t begrudge the idea of picking trades for any team, including the New York Yankees, who should consider making some deals. But we don’t want to hear about trading Andrew Miller. That’s the dumbest idea of 2016. Armchair GMs abound when dealing with a team like the Yankees, and 2016 provide even more cause for speculation. This team hovered around (mostly below) .500 for the first 60 games of the campaign. Looking at the team’s strengths, the trio known as “No Runs DMC” would have to top the list. Aroldis Chapman, Dellin Betances, and Miller could close for any team in baseball, so there will be inquiries from contending teams. In Miller’s case, the appeal is obvious. 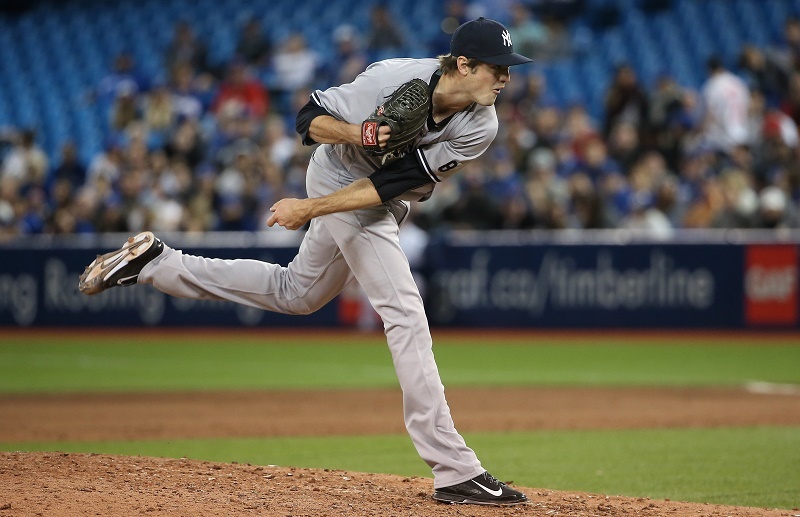 The big lefty was the best reliever in the American League last season working as the Yankees closer. 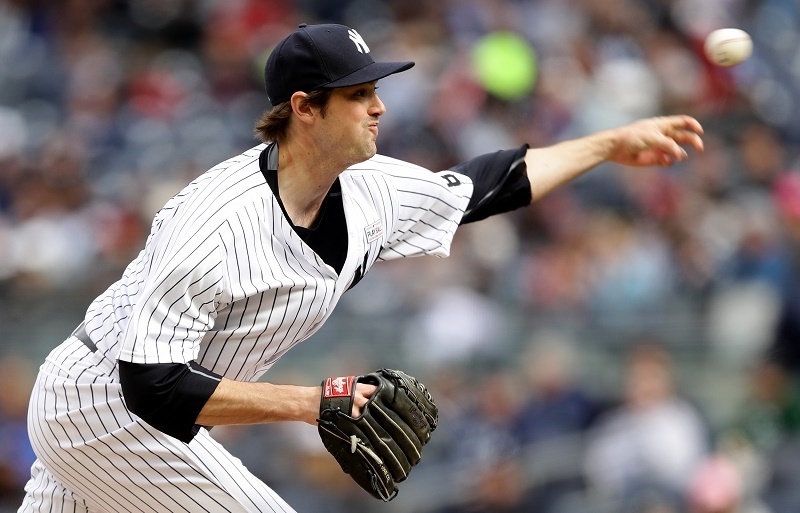 There has been no letup this year; Miller’s 1.3 WAR among relievers is second only to his teammate Betances (1.4 WAR). His 1.05 ERA is superior to that of Betances (3.34) and Chapman (1.93), and his ability to work the eighth or ninth innings without incident makes him a fit anywhere. Sweeter yet, Miller earns $9 million per year until his contract expires in 2018. Chapman, who enters the free agent market at the end of the season, is infinitely more tradable — that is, if GM Brian Cashman has any long-term vision for this team. In fact, Miller is the best contract Cashman has on the books. 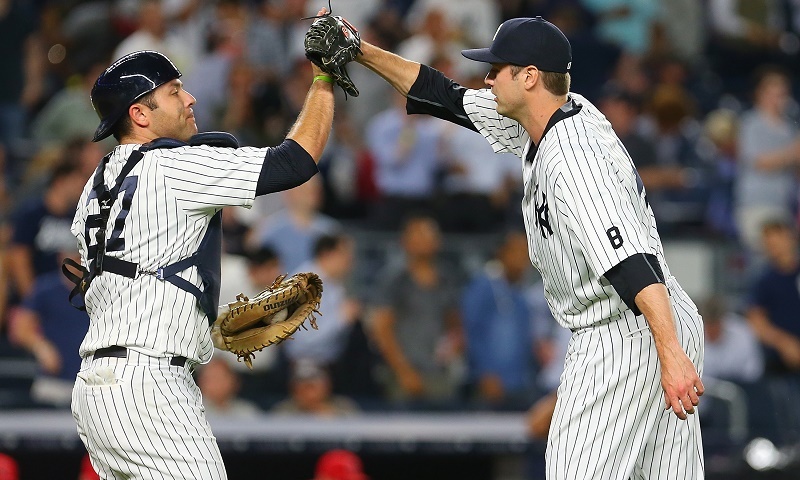 Everywhere you look on the Yankees roster, you will find bloated long-term deals. Jacoby Ellsbury will make $22 million per year until 2020; C.C. Sabathia ($25 million) and Alex Rodriguez ($20 million) are on contract until the end of 2017; even Masahiro Tanaka, the team’s WAR leader in 2016 (No. 4 among AL starters), presents injury risk at $22 million per year through 2020. Miller presents almost no risk at an affordable rate in the prime of his career. If the Yankees are anywhere near contention in 2017 or 2018, there is no need to find a sure-thing closer with him on the roster. Along with Betances, who is arbitration eligible through 2019, the Yankees could have the back end of the bullpen solved at bargain prices for the foreseeable future. But trade him, armchair GMs say. It hasn’t only been the Twitter crew calling for the usual insane trades, either. MLB insider Ken Rosenthal, as sober a voice as there is in the game, recently entertained the notion after reporting that the Giants were considering a move at the big lefty. So Rosenthal played ball, considering what San Francisco would have to part with and what New York might demand in return. As you might guess, the price would be prohibitively steep. Rosenthal recalled the last time Miller was traded, at the deadline in 2014. The lefty was then a lights-out middle reliever, and Boston — headed for last place — moved him to Baltimore for Eduardo Rodriguez, then a promising young starter. Rodriguez is left-handed, has great stuff, and under control until 2021. That was an incredibly high price for a two-month rental of Miller. But here’s the kicker: Rosenthal called that “the minimum.” In other words, clubs that want Miller under control for two and a half years will have to pay a top prospect or two to pry him away. We’re trying to think of someone we would pay all that for, especially when Chapman might be available (regardless of the Yankees’ record) for much less. In the case of San Francisco, the team’s top trade chip (a young pitcher) was not considered elite to nab Miller in the eyes of a rival GM. Then there is the PR and clubhouse standpoint. Miller doesn’t have any of the baggage of Chapman, who served a lengthy suspension for a domestic violence incident early this season before stepping into the closer’s role. Miller has been better than Chapman on the field, yet didn’t balk in the slightest when he was demoted to setup man. You already know what type of teammate he is. As we saw in Chapman’s refusal to back up the plate after allowing runners to score in Baltimore, the Cuban Missile has a bit of an attitude problem on the field. Any way you look at it — pure stats, money, clubhouse effect, raw talent, big-game presence — Miller offers it all. Trading him is the dumbest thing New York management could do this season.